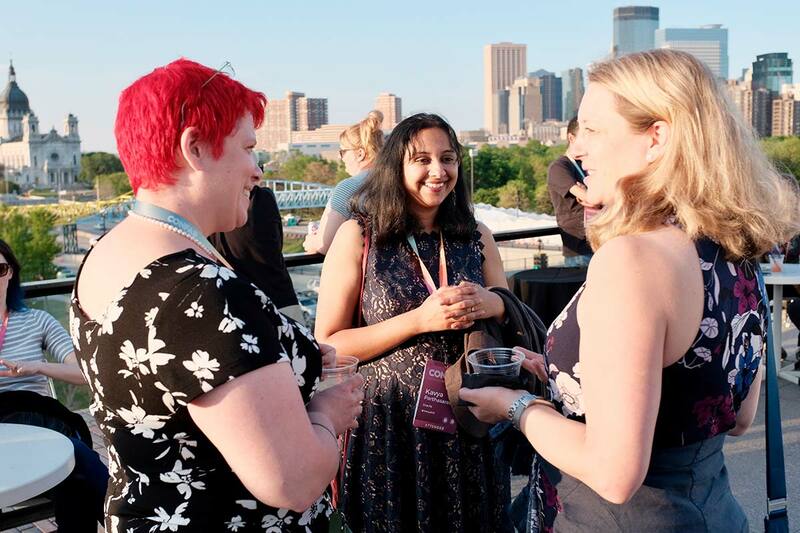 Confab has taken place in Minneapolis every year since 2011, and there’s good reason for it. 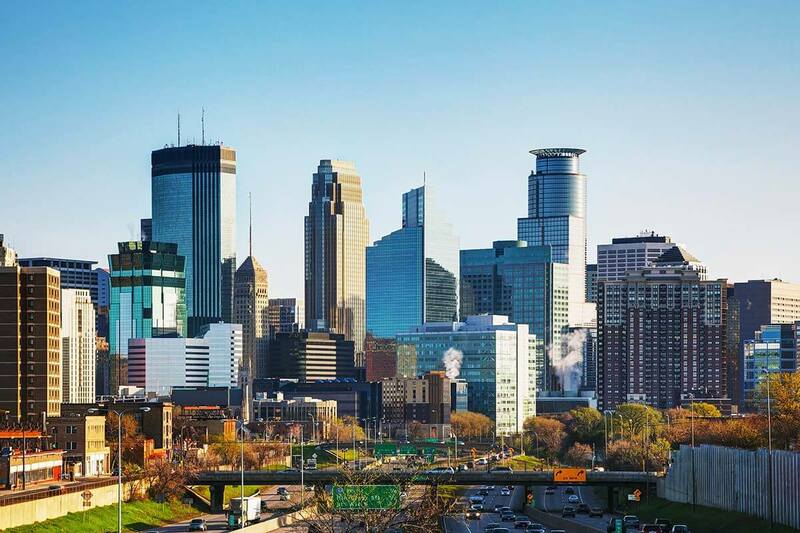 With so much to do, see, and eat, a stay in Minneapolis is sure to be one of many highlights of your Confab experience. Confab takes place at the Hyatt Regency, a hotel located in the heart of downtown Minneapolis. All conference activities take place at the hotel or within easy walking distance. The conference room block at the Hyatt is now sold out, but there are many other hotels nearby. The Minneapolis-St. Paul International Airport is a major Delta hub that serves most domestic and several international airlines. There are many ground transportation options to get you to the conference hotel. If you’ll be driving, the Hyatt Regency has an on-site parking ramp that offers daily rates. There are several other nearby parking options in the area as well. Once you’re here, there are many ways to get around if you’d like to get out and explore the city. The Metro Transit light rail runs between the airport and downtown Minneapolis. 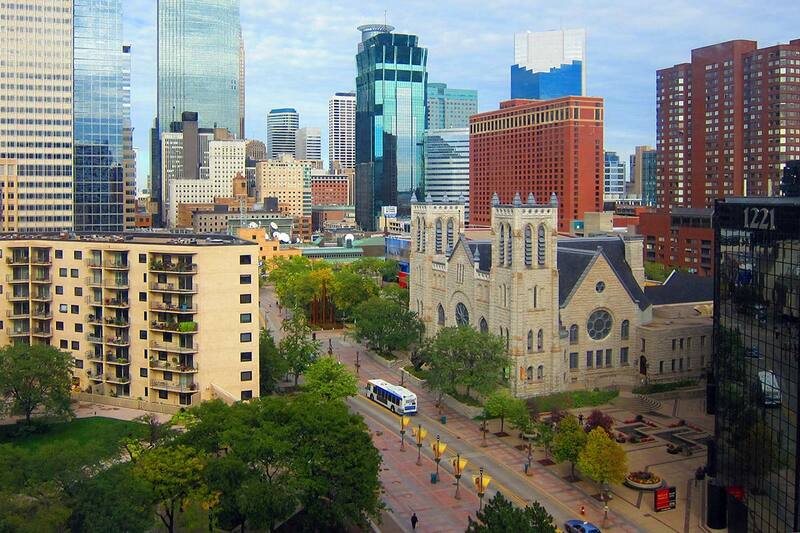 It can also get you to St. Paul if you are looking to explore. The Metro Transit bus service operates throughout Minneapolis and neighboring St. Paul. Lyft and Uber operate in Minneapolis, as well as several local taxi services. Most taxi services accept credit cards. If you find yourself with downtime while you’re here for Confab, it’s worth getting out and seeing what Minneapolis has to offer. You’ll find plenty to do, see, and eat, all within an easy distance of the conference hotel. Whether you’re craving a quick bite on the cheap or want a dining experience to remember, Minneapolis has you covered. 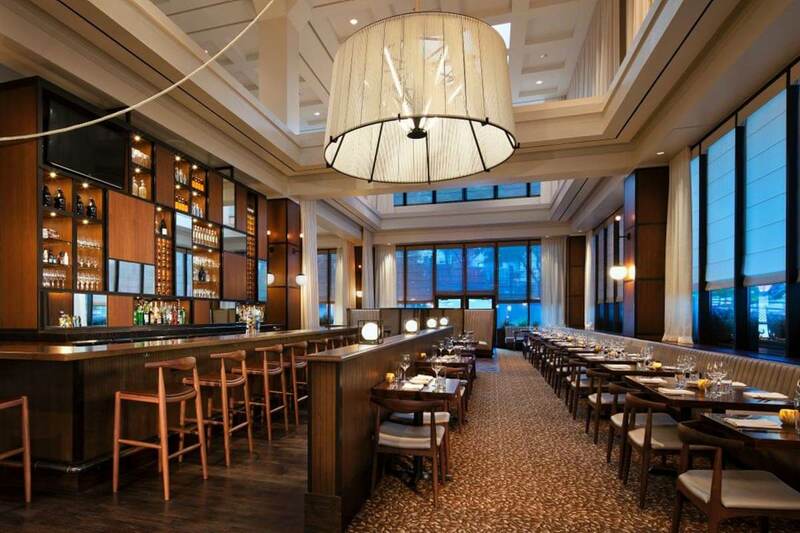 Check out this list of restaurant recommendations for a selection of our nearby favorites. There’s no shortage of happy hour and late-night destinations in Minneapolis. Brit’s Pub is a go-to for happy hour, or try nearby Lakes & Legends if you fancy a craft brew. Otter’s Saloon is a Confab favorite for late-night karaoke—but it’s across the river from downtown. If you fancy a little shopping while you’re in town, head over to the trendy North Loop neighborhood for a selection of locally owned shops and boutiques. There’s also a Target and a Lund’s grocery store available not far from the conference hotel. Minneapolis offers plenty of opportunity to get outside and enjoy some green space (weather permitting, of course). 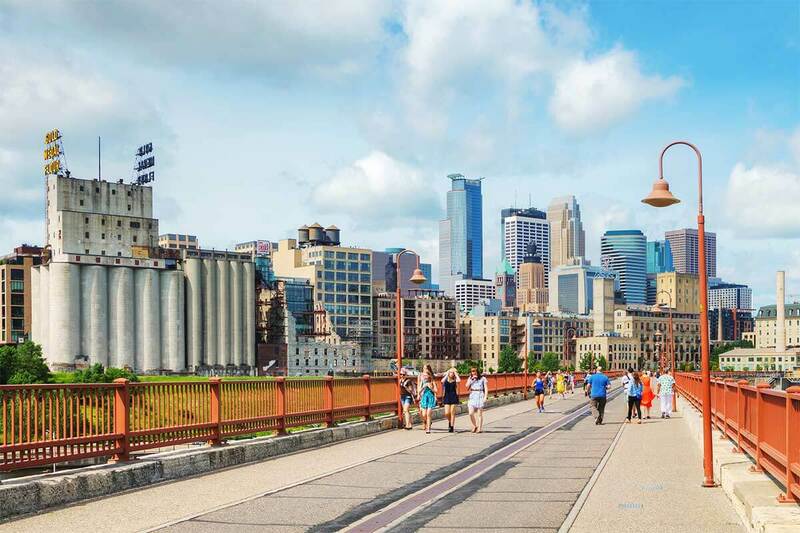 Loring Park is a tranquil setting for a stroll, or get a glimpse of the Mighty Mississippi from the Stone Arch Bridge. Take in a little culture at one of the many museums in Minneapolis. Visit Mill City Museum for local history or the famous Walker Art Center for modern art. The Foshay Museum has an observation deck overlooking the city. Minneapolis is proud to claim The Purple One and there’s no shortage of Prince-themed events, tours, and history. Paisley Park is a bit outside the city but worth the visit for fans. And yes, he deserves his own category. Minneapolis is home to many venues for live performances, from plays to musicals to comedy. Catch a play at the internationally recognized Guthrie Theater or find some laughs at Brave New Workshop. ‍From large touring acts to smaller local artists, Minneapolis has a thriving music scene and many venues to house them. The Cedar Cultural Center, Dakota Jazz Club, and iconic First Avenue are local favorites for live music. April is a quiet month for professional sports in Minnesota, but there are still options if you want to get your sport on. Check out a soccer game with the MN United or cheer on the Minnesota Roller Girls at a roller derby bout. Minnesota weather is notoriously fickle, especially in spring. If you’ll be joining us for Confab, rest assured we’ll keep an eye out on the weather for you and will let you know if you need to pack an umbrella, sunglasses, parka, or all of the above.